Amazon’s Prime Day starts this afternoon (July 16th) at 3pm EST and continues for 36 hours, until midnight on the 17th. I’ve done the research so you don’t have to in order to curate this list. As an Amazon Affiliate, I may receive a small fee if you make a purchase through one of my links. To make it even easier this year, check out all the deals in my Prime Day Section of my Amazon shop. Note, not all products can be listed here so be sure to read through the entirety of this post first. First off, if you are not an Amazon Prime member or your membership has lapsed, you’ll want to rejoin to take advantage of Amazon Prime Day. Click below for a free 30-day trial. Besides following me on Facebook, Twitter, and shopping on my Amazon Shop, of course. When you see a product you want on Amazon, click on “Watch Deal” so you don’t miss out. If you do this on your phone, you’ll get an alert when the deal has begun. I missed out on a couple of deals last year because I didn’t set this up on my mobile device. Amazon staggers out the Amazon Prime Day items. While some of them stick around for a while, even the full 36 hours, others last for a short time. Blink and they are gone! For the last two years, the Instant Pot has been one of the hot deals. It has not been announced yet but my hunch says it will be part of Amazon Prime Day. Remember to check me out on Facebook where I will post updates to my favorite Amazon Prime products all day long. I know people who have missed the deal and tried to find a similar one throughout the year. Trust me, today is the day to buy it. It’s a huge savings. Even if you miss out on the deal, this is still one of my most favorite purchases ever. My Instant Pot now has a permanent residence on my kitchen counter. I’m considering getting the 3-quart model this year too. 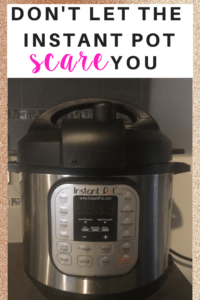 For more on how much I LOVE my Instant Pot, be sure to check out the post below. Amazon Prime Day has already started for Amazon’s own products. Besides the Instant Pot, one of the best things I’ve purchased on Prime Day is my Kindle Paperwhite. Before that, I had a Fire but could not read with the glare from the sun. This Kindle goes everywhere with me. If you have an older model that you would like to trade in, Amazon does offer a trade-in program, which can save you 25% on a new Kindle E-reader (limit 1 per customer) + get an Amazon.com Gift Card equal to an appraised value of your old device. My current Kindle would get me a $25 gift card. Shameless plug for our growing book club. 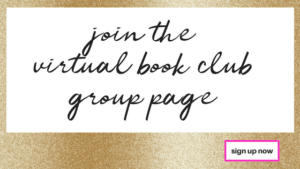 Once you get yourself a Kindle, join us at our monthly online, Virtual Book Club. Click link below to join our group. My kids both have Kindle Fires. Is it as good as an iPad? No, in my opinion. But it does have Parental Controls built in plus an extensive library of age-appropriate books. My son loves the Harry Potter and Big Nate series, both of which he has access to on his Fire through the included library of books. I also have already used the two-year worry-free warranty and got a free replacement. 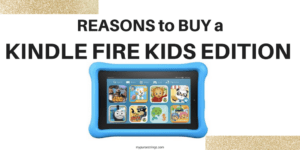 For more about the Kindle Fires Kids Edition, check out my post below. Trick: If you want to save some money, purchase a regular Kindle Fire for your kids. It’s so inexpensive on Amazon Prime Day, the Kids’ worry-free warranty is irrelevant. Then. . . add the Free Time plan to your Kindle. Sign up below for a free 30-day trial of Free Time. This essentially gives you access to the all of the kid-friendly content as mentioned above. My kids use their Echo Dots every day. Last night, my daughter turned on white noise to fall asleep. She has dance parties in her room. And, my son uses his as an alarm clock. I wish this was available when I got my kids their Echos. Besides the pops of color, the Echo Kids includes a kids subscription to Audible with over 300 books, a two-year worry-free warranty, and Free Time Unlimited, with ad-free kids playlists and stations. Plus, it gives you Parental Controls. There’s not much difference between the Echo and the Plus, except the latter includes a Home Hub to make your home smarter. This means you can your smart product (for example, lights) directly into the device. Percentage-wise, you are saving more with the purchase of the Plus than the standard Echo. Plus, for Prime Day, you will get a Philips Hue Bulb included at no additional cost. Alexa capabilities with a visual component. The Ring Video Doorbell Pro works with Alexa (sold separately–see above) and enables you to see, hear and speak to anyone at your door from your smartphone, tablet or PC. You can also check in on your property remotely. I have an upcoming blog post about Circle with Disney coming out soon. I haven’t entirely figured it all out yet but all I know is that after my preselected amount of time, Fortnite shuts off for my son and that alone makes my purchase worth it. I’ve had my eye on this home projector for a while. Perfect for a backyard movie night , this projector feels so retro yet innovative at the same time. Check out my Facebook Page and I’ll alert you when this Amazon Prime Deal becomes available. If you’ve been thinking of getting rid of cable, there’s no better time than now. 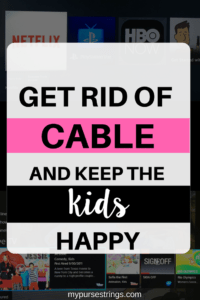 We cut the cord two years ago and I haven’t’ looked back. My house gets access to my non-cable shows through the Roku device and these Kindle Fire Sticks. Simply, stick these into your television, download the apps you need, and voila, goodbye, cable. I’ll keep my eyes out for an Amazon Prime Day promotion for the Roku but it’s unlikely. I use the Roku 4 on my main TVs as I find it quicker to navigate through programs. *Check out my Facebook Page and I’ll alert you when you can grab these products on Amazon Prime Day. GoMacro Organic Vegan Protein Bars (Peanut Butter and Chocolate Chip). I have had my eye on this Philips Sonicare Diamond Clean toothbrush for ages. If you use the Peloton or Peloton app, you may want a chest-strap heart-rate monitor. This one by Wahoo, the same company who makes the cadence sensor is available at a great price on Prime Day. I have these resistance bands. They hold up well. They come with a carrying case, attachments for doors, and anything else you would need. You’ll want to add a foam roller to your stretching routine. I use it primarily to stretch out my hips which get tight after spinning and even walking. Matt Wilpers, a much-loved Peloton instructor has Beyond the Ride classes on the Peloton App teaching you how to use one, or you can find instructions on YouTube. Side note: If you want to try the Peloton app, here is some info. If you are interested in purchasing the Peloton bike, here’s a referral code for $100 towards accessories or apparel: GCSRDR. Not only does this yoga mat look pretty, it gets good reviews and is heavily discounted on Prime Day. My daughter just went to a birthday party and the mom printed out photos from this camera as a favor. I may just buy this InstaMix Mini now and save it for the holidays. One of my favorite toys for my kids are old-fashioned walkie-talkies. My son dropped his on the beach last year and I’m on the hunt for a new set. Check out my Facebook Page and I’ll alert you when these walkie-talkies go live. I have this nail grinder and my skirmy dog does not mind this at all. This means that I file my dog’s nails regularly and I have to be honest, those clippers scared me every time. 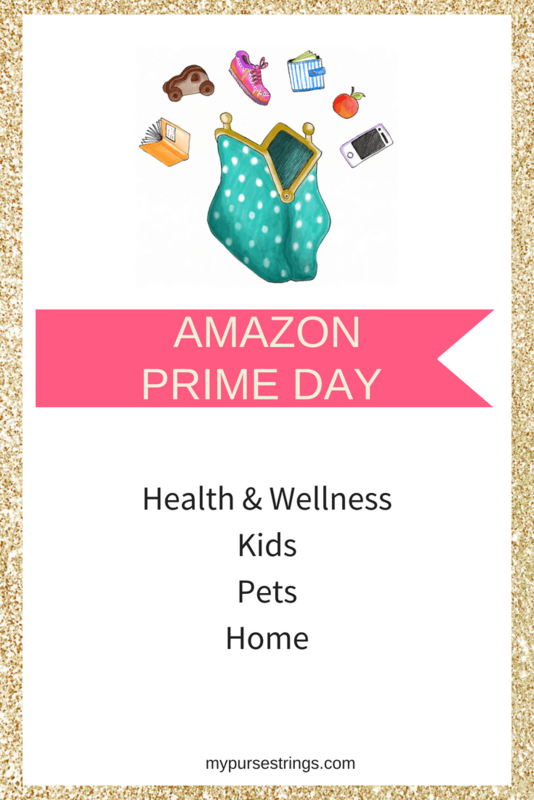 *This post has been updated to include 2018 Amazon Prime Day Deals. Again, be sure to like my Facebook Page where I’ll update my findings throughout the day. I’ll also do my best to update this post.